Legendary California punk outfit Black Flag will reunite their original 1979 lineup for this year’s edition of Hevy Fest in Kent, UK. Featuring vocalist Ron Reyes, guitarist Greg Ginn, bassist Chuck Dukowski, and drummer Roberto “Robo” Valverde, the forthcoming performance will be the band’s first UK date in over 30 years and their only UK performance of 2013. 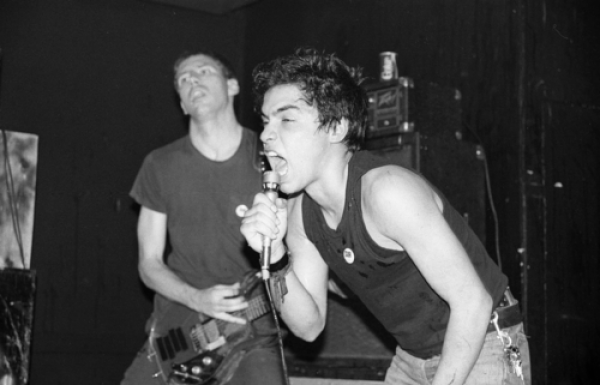 Following Keith Morris’ exit to form The Circle Jerks in 1979, Reyes climbed aboard and contributed vocals to the band’s second EP, Jealous Again. A year later, however, Reyes would be replaced by longtime fan Dan Cadenza, who filled the position until 1981, when Henry Rollins took things over. It was then that Black Flag went on to record their landmark studio debut, Damaged. Hevy Fest 2013 takes place August 2nd-4th at the Port Lympne Wild Animal Park in Kent. An additional 80 bands will be announced in the coming months. Weekend passes are currently available and priced at £89-£99. In the meantime, relisten to all six minutes and 36 seconds of the Jealous Again EP below.